Fred was born on 26 December 1898 in Watchfield, then in Berkshire but now in Oxfordshire. He was the illegitimate child of Lucy Louisa Lovegrove and Thomas Frederick Mortimer, a police constable. It is not always possible to be sure of the father of an illegitimate child, but this is a pretty clear case: Fred’s birth was registered as Charles Frederick Mortimer Lovegrove (it was not unusual for the father to be named in this manner). Sometimes this was a way of ‘naming and shaming’ the father, who could, after all, have married the mother well before the child arrived. Thomas and Lucy did marry, almost a year after Fred’s birth when Lucy was pregnant again with Fred’s brother Henry George (born 1900), A sister, Elsie completed the family in 1903. One possible reason for the delayed wedding was the policy of bodies like the police force to ensure that those enforcing the law were not put in the position of suffering a conflict of interest should a relative or old friend fall foul of the law. Marrying a local girl who lived on his beat would automatically trigger a transfer to another part of the county, which would be hard on a new (and pregnant) wife who would be very likely to want to remain close to her parents and family. But a transfer was made - Henry’s birth was registered in the Bradfield district and Elsie’s in the Wokingham district (probably in Shinfield) – demonstrating Thomas’s postings. Enbrone Road in Fred's time. The Mortimers lived at No 3, the middle of the five in the terrace. In 1905 young Fred was admitted to St Nicolas’ School (also known as the National School) in Enborne Road, Newbury having transferred there from Shinfield – dad had obviously been posted again. They lived near to the school at 3 Enborne Road, or 3 Hampstead Terrace, Enborne Road – two addresses for the same house. Thomas’ name does not appear at that address in local directories until 1910, instead another police constable is named. This may mean that the house was split into two residences, but it is more likely that the publisher of the directories took some time to update his records. Certainly, in 1911, the Mortimers were in sole occupancy. Fred was a bright student who earned a scholarship to the Newbury Grammar School where he started on 20 September 1910. On 1 April 1915 he left school to start his working life as a clerk at Beynon’s, a well-known Newbury draper’s. 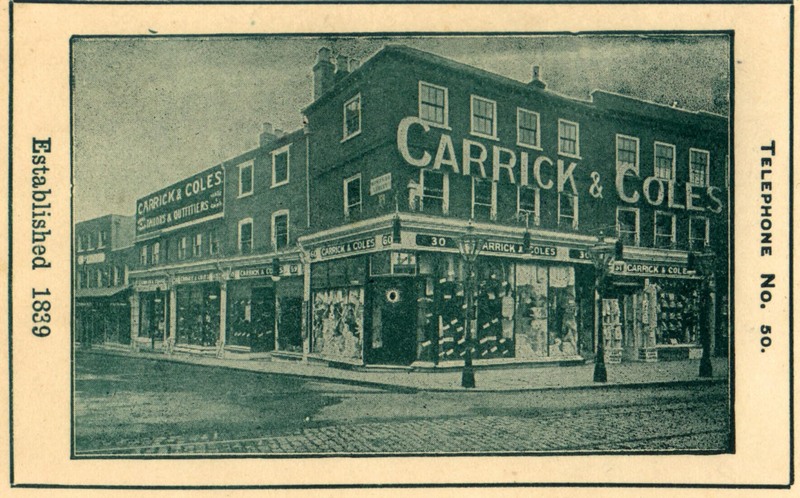 He was not with Beynon’s for long, moving on, in 1916, to Carrick & Coles, a tailor and outfitters in Uxbridge, Middlesex. The inevitable call to arms came with Fred’s call-up; he joined the Army on 19 February 1917, shortly after his 18th birthday. 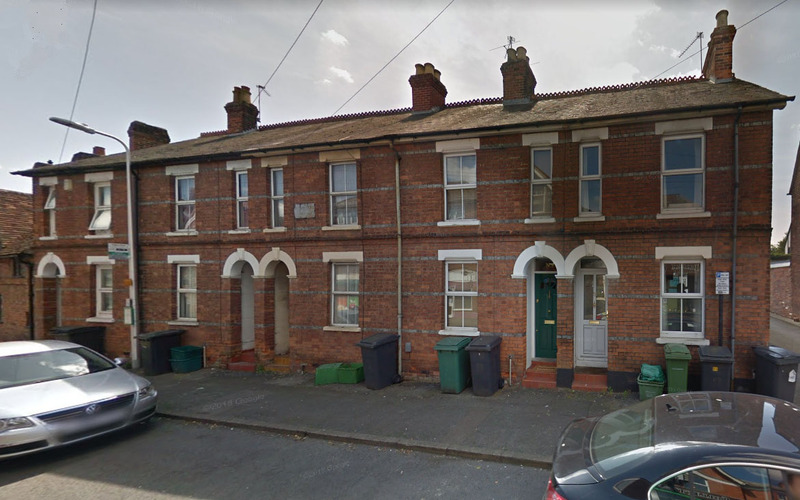 He went through his army training at Dovercourt and Colchester before being sent out to join the 4th Battalion, North Staffordshire Regiment on 1 February 1917. Infantry battalions at the front spent most of their time behind the line, training or in working parties maintaining the vast infrastructure needed to keep an army of over a million men operating. Actual time manning the front line was limited to short periods of a few days, with associated periods immediately behind the line in reserve. In March the battalion was a part of desperate defensive actions around Bapaume as the enemy broke through the British lines and threatened to drive a wedge between the British and French armies. This was probably Fred’s baptism of fire. Battalion in line at Bouzincourt, relieved 17th R.F.s. (104th Infantry Brigade). 1 killed 2 OR wounded. For most of the men this was a relatively uneventful day, but not for Fred – he was the ‘1 killed’. The painful intelligence of the death of the elder son of PC and Mrs Mortimer, reached Newbury on Thursday last. The deceased was a private in the 4th North Staffords, and the communication from the Colonel of Records at Lichfield, spoke of his having been killed in action “in the Field,” on Friday, the 26th of April. The age of Pte Mortimer was exactly 19 years and four months to the day. He joined up on the 19th February, 1917, and was trained at Dovercourt and Colchester, being drafted to France on the 1st of February in the present year. His last letter to his parents was dated on the day of his death. Deceased, on the removal of his father from Shinfield to Newbury, attended the National School, and having gained a scholarship, passed on to the Grammar School, his premature death having added to the already long roll of boys who have fallen in the defence of their country. On leaving school, he was for twelve months with Mr Beynon, of the Market-place, and subsequently he was an assistant to Messrs Carrick and Coles, of Uxbridge. The parents are comforted by the many letters and testimonies received from those by whom their son “Fred” was known for his affability and the keen enjoyment he took in all kinds of healthy sport both at school and during the short term of his military life. 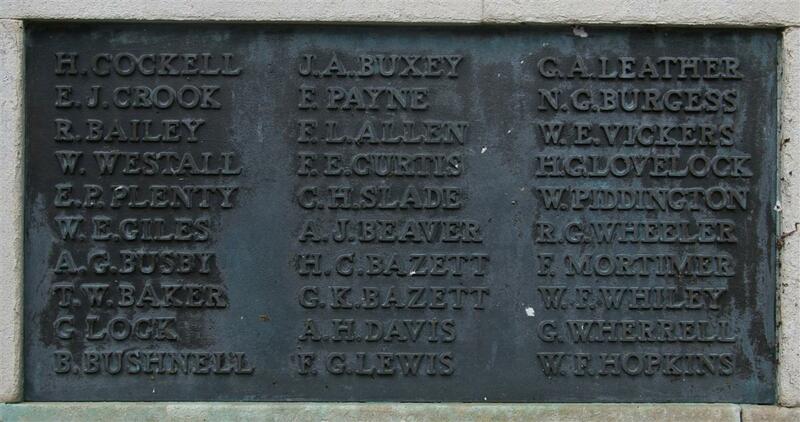 Fred's name on Newbury War Memorial. He was buried in grave C.4 at Bouzincourt Communal Cemetery. Locally he is remembered on tablet 9 of the Newbury Town War Memorial and on the memorial to the fallen old boys of Newbury Grammar School, now located in the reception area of St Bartholomew’s School. He was also remembered in the stained glass of the east window of the Primitive Methodist chapel in Bartholomew Street, now lost.